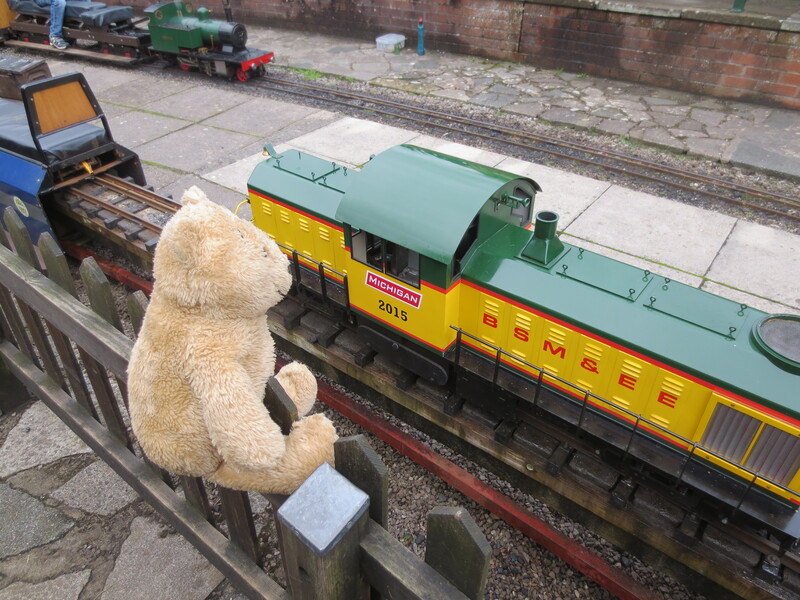 On August Bank holiday Monday I was put into my human’s bag and carried to Ashton Court Miniature Railway, which is run by http://www.bristolmodelengineers.co.uk/ There are lots of very small locomotives running around a track and humans get to ride on the carriages behind. 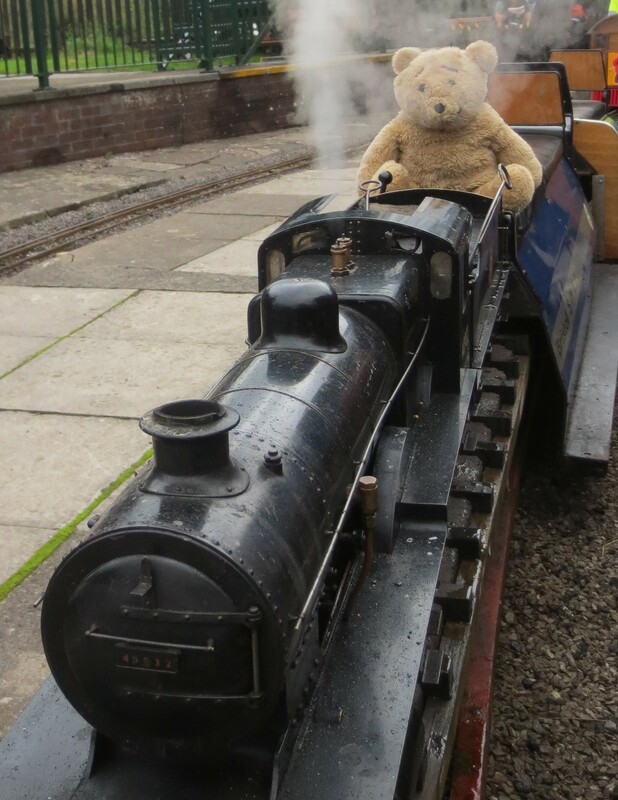 The men and women driving the trains looked a bit big on them – the trains are bear sized. A very kind engine driver let me sit right at the front of his train for a photo. 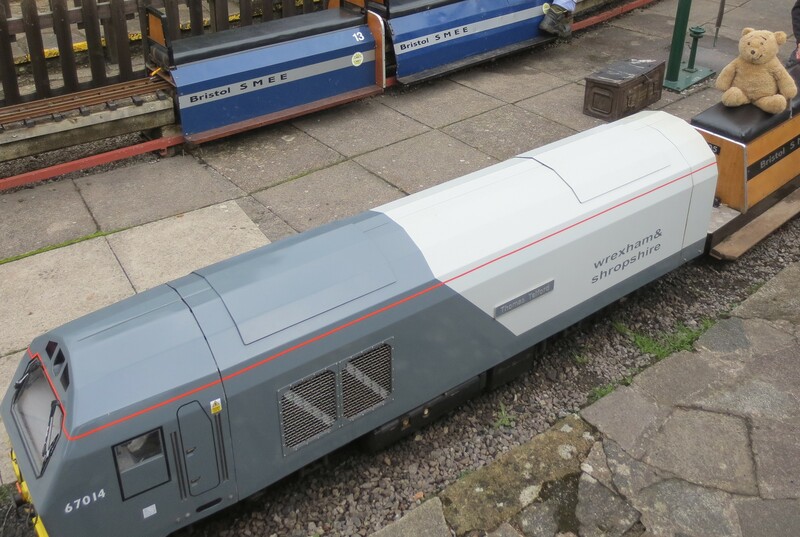 Sometimes I am a bit mischievous so I drove it along a little way… I think I would make a rather good train driver, but I don’t have a licence to drive or carry people, so I wasn’t able to drive it all around the track. 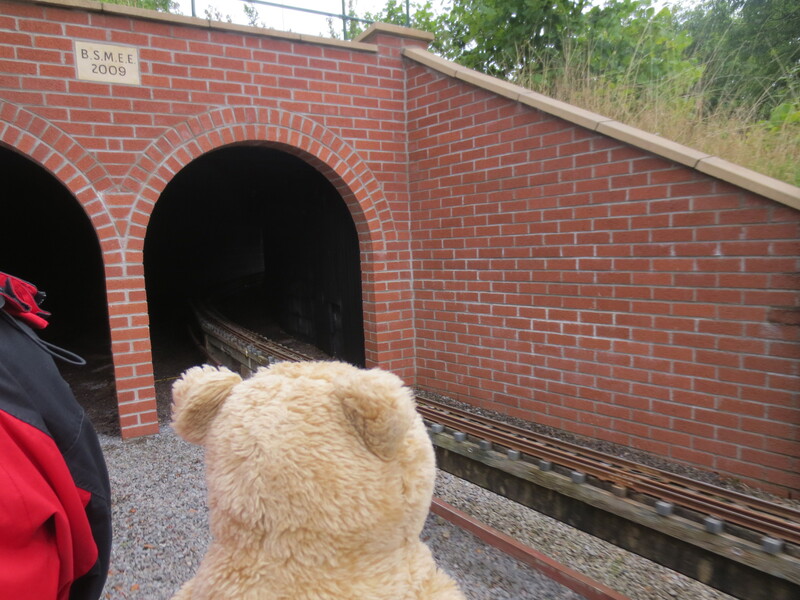 I did however, ride around as a passenger, which was jolly fun – we even went through a tunnel. Afterwards I had a go on a diesel train, which I quite liked really as I didn’t have to worry about getting smoke in my fur. 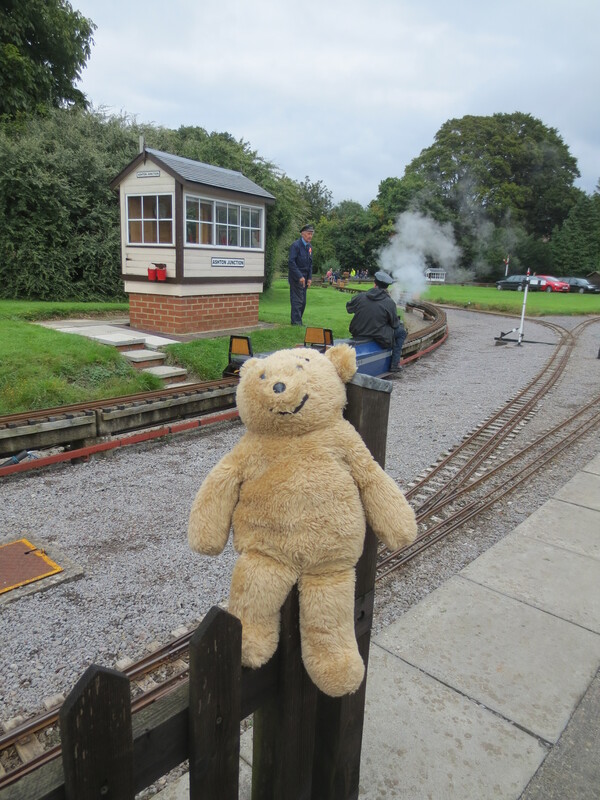 The railway is a really good place to visit for humans and their children plus bears. Karen said the rides were really good value for money at 70p a go. I thoroughly enjoyed myself and I hope my humans take me there again soon. 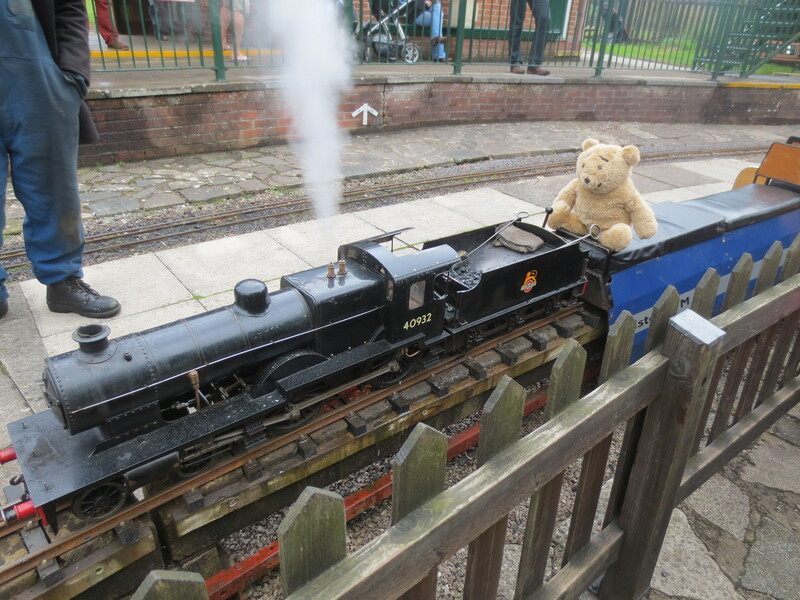 This entry was posted in Uncategorized and tagged alresford bear, ashton court, bristol model engineers, trains, www.horacethealresfordbear.com by karenlovestodance. Bookmark the permalink. What an lovely place to visit and how exciting that you got to drive a train!